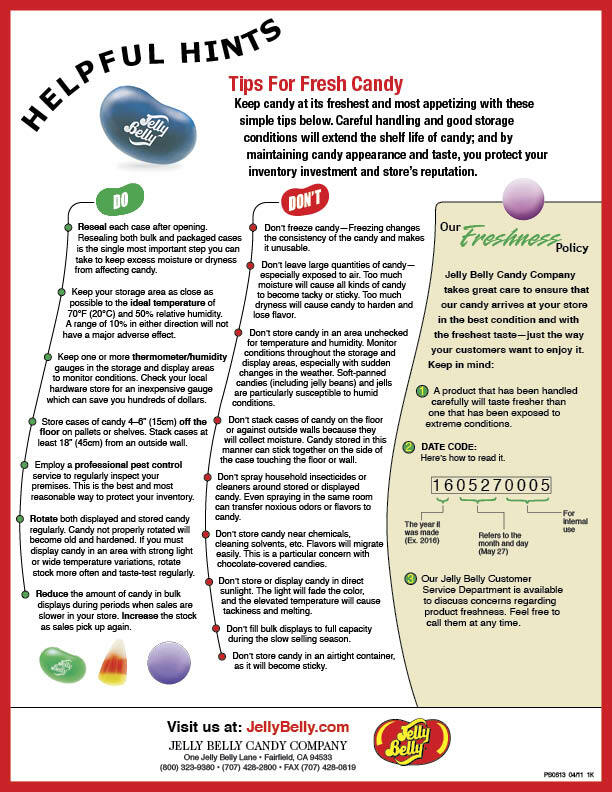 A candy shop is complete when it has a full selection of Jelly Belly jelly beans and Jelly Belly Confections. If you wish to carry our products feel free to call and we will be happy to answer any questions that you may have! Please call 1-800-323-9380 (US only) or 707-428-2800 (all countries) and ask for Customer Service.